Thonotosassa Estate — Taylor & Taylor Inc.
With our love of history and travel, we’ve seen many wonderful sources of inspiration. In this expansive, 140 acre waterfront compound on Lake Thonotosassa, northeast of Tampa, we paid homage to some of the most memorable historic homes we’ve loved, from the Biltmore House in North Carolina to Versailles. We sought to capitalize on the architecture by creating French Country style interiors, but with an understated splendor and allusions to the past. 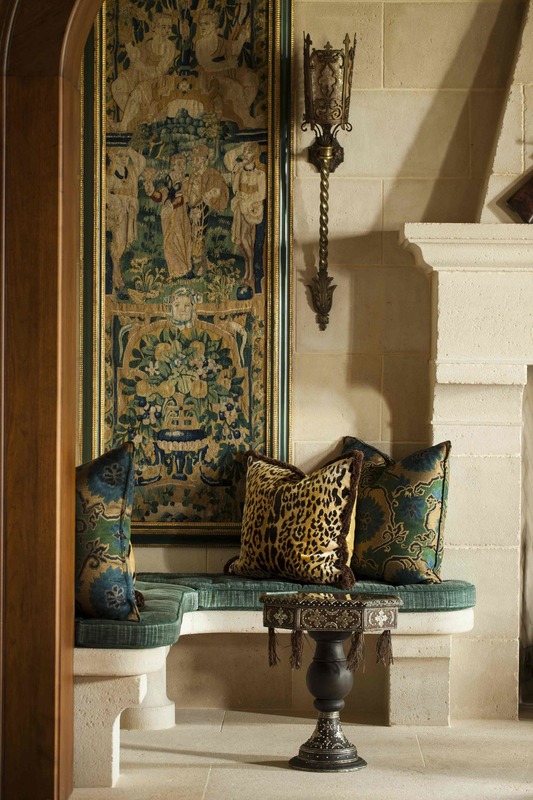 In this house, the foyer features hand-painted faux stone vaulting. The dining room walls are covered in custom, hand-painted silk wallpaper depicting orange trees inspired by the site and also Florida palms in a tropical adaptation of the classic bamboo-and-plum-blossom design, and the kitchen is fitted with marble countertops and backsplashes.